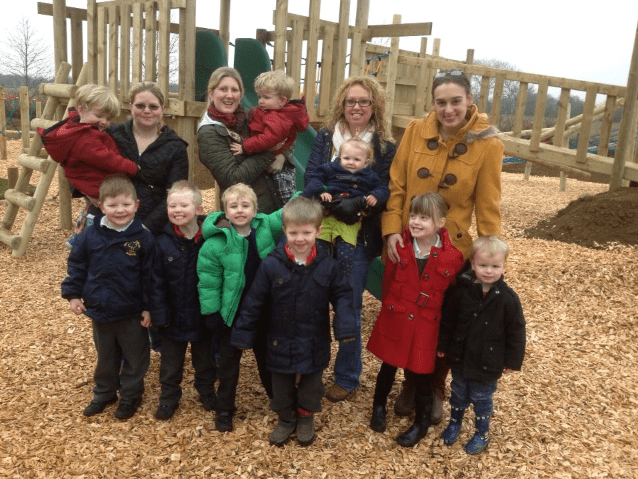 The Play Area on the edge of the Ryfields Estate opened Easter 2013 as a result of the efforts of the Come & Play team. It gives Woodford’s kids a great place to let off steam. The park has higgledy piggledy climbing frame, obstacle circuit, a climbing wall, fort with slide, a see saw, little play train and swings. The Play Area is for children 12 years old and under. 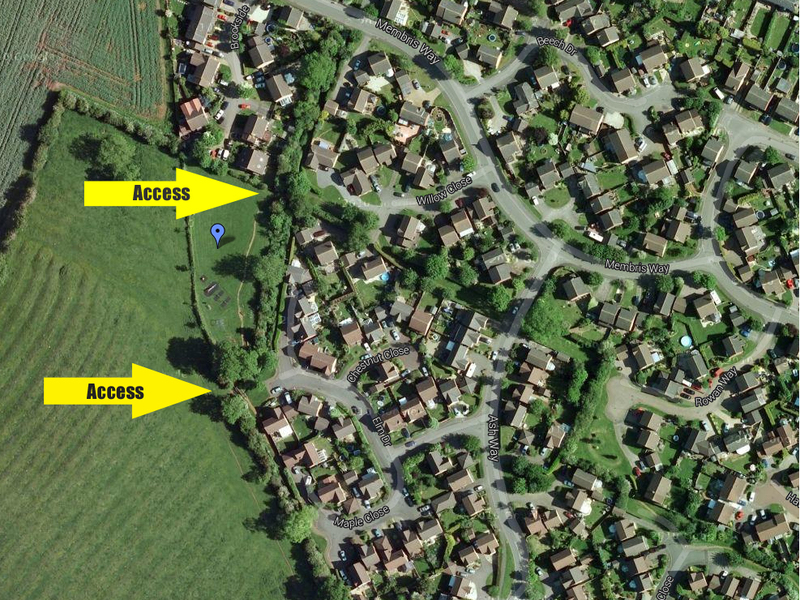 Access is from the footpath off the north western end of Elm Drive not far from Chestnut Close or from the western end of Willow close. You can find it on the village map. If you zoom in on the satellite view you can actually see some of the old play area equipment! Well done to all the team that have put together this terrific asset to the village!